Welcome to the new platform for the monthly OSEP Update. This platform, "Gov Delivery," is being used across ED and we hope it will allow us to monitor the usability of the document and continuously improve the way we deliver information. Please feel free to contact us if you have any suggestions or concerns regarding the new system of distribution. For over a year, OSEP has been working collaboratively with the Office of Elementary and Secondary Education (OESE) on technical assistance and monitoring. Our shared efforts center on collaborative monitoring with the Office of School Turnaround (OST), coordinating technical assistance resources with Student Achievement and School Accountability Programs (SASA), and assisting in the design of monitoring procedures for Part B monitoring of Elementary and Secondary Education Act (ESEA) Flexibility. This work has been very successful, and we are continuing to work together to develop more formalized mechanisms for collaboration. 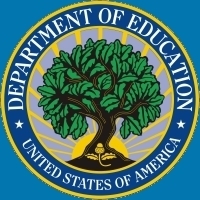 During the months of August and September, OSEP will increase collaborative efforts across the Department with other relevant programs in monitoring and technical assistance. OSEP staff will work with the Department’s Implementation and Support Unit (ISU) on Race to the Top on-site program reviews, OESE-SASA on ESEA Flexibility on-site and desk reviews and with OESE-OST on School Improvement Grant monitoring. Additionally, our collaborative work has extended to the Office of Early Learning (OEL). OSEP staff will serve as panel monitors for the next round of application reviews for the Race to the Top- Early Learning Challenge (RTT-ELC) Program. Also, we will work with OEL as they provide technical assistance to RTT-ELC grantees, particularly on issues related to young children with disabilities, and develop their monitoring protocol. Letter to Greer (July 19, 2013) clarifies parental consent and system of payments provisions in the Part C regulations. Letter to Tymeson (July 31, 2013) clarifies the district’s responsibility to provide physical education to a preschooler with a disability when typically developing peers do not receive physical education. Letter to Inzelbuch (August 1, 2013) clarifies the requirements of 34 CFR §300.507, regarding filing a due process complaint, and 34 CFR §300.502, regarding independent educational evaluations. Technical Assistance and Dissemination to Improve Services and Results for Children with Disabilities – State Technical Assistance Projects to Improve Services and Results for Children Who Are Deaf-Blind and National Technical Assistance and Dissemination Center for Children Who Are Deaf-Blind (CFDA No. 84.326T). The deadline for transmittal of applications is August 15, 2013. The notice can be reviewed at the following Federal Register Web site: http://www.gpo.gov/fdsys/pkg/FR-2013/07-01/pdf/2013-15715.pdf. Educational Technology, Media, and Materials Program for Individuals with Disabilities – Center on Technology and Disability (CFDA No. 84.327F). The deadline for transmittal of applications is August 15, 2013. The notice can be reviewed at the following Federal Register Web site: http://www.gpo.gov/fdsys/pkg/FR-2013-07-01/pdf/2013-15712.pdf. Technical Assistance and Dissemination to Improve Services and Results for Children with Disabilities – National Technical Assistance Center on Positive Behavioral Interventions and Supports (PBIS) (CFDA No. 84.326S). The deadline for transmittal of applications is August 19, 2013. The notice can be reviewed at the following Federal Register Web site: http://www.gpo.gov/fdsys/pkg/FR-2013-07-05/pdf/2013-16191.pdf. OSEP/RTP conducted a 3+2 evaluation for the National Technical Assistance Center on Assessment for Children with Disabilities (National Assessment Center) on August 5, 2013. The National Assessment Center conducts information gathering and needs assessments, provides technical assistance, and engages in dissemination to improve results for students with disabilities by increasing their participation rates in high-quality assessment and accountability systems, improving the quality of assessments in which they participate, improving the capacity of states to meet data collection requirements, and strengthening accountability for results. For more information on the National Assessment Center, please visit their website: http://www.cehd.umn.edu/nceo/About/default.html. Thank you for your attendance at our Annual Project Director's Conference and OSEP Leadership Conference. I always appreciate the opportunity to engage with you and these conferences are an important venue for all of us to share and learn from each other. We look forward to seeing your evaluations to help us plan for future conferences.